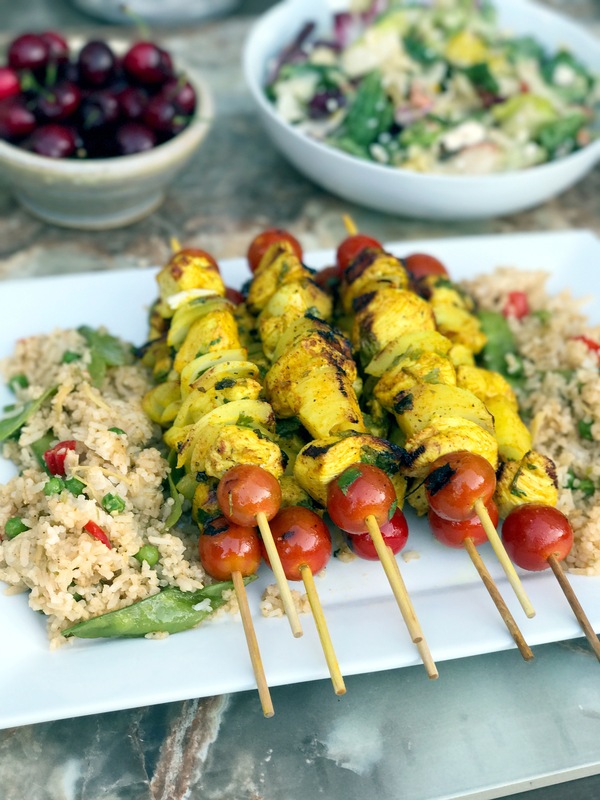 Simple to make and packed full of flavor, these Persian Chicken Kabobs make the perfect family meal or easy entree for entertaining, when paired with basmati rice and a fresh salad. 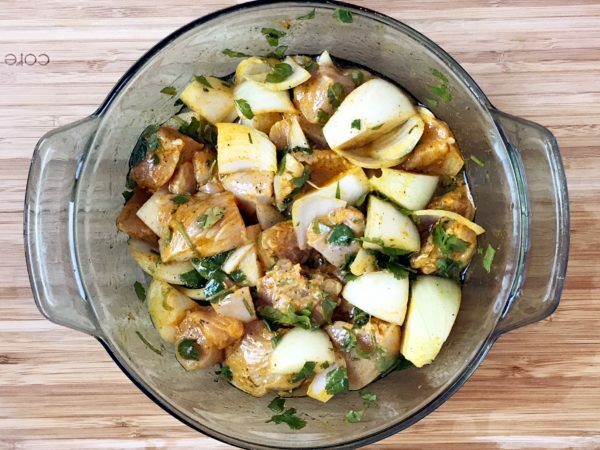 In a medium bowl, add chicken, onions, and dressing. Toss together, cover, and refrigerate 1 hour or overnight. 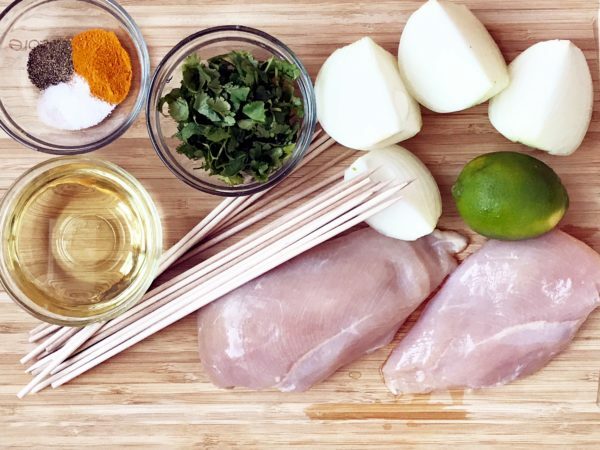 Remove chicken from refrigerator and toss in cilantro. 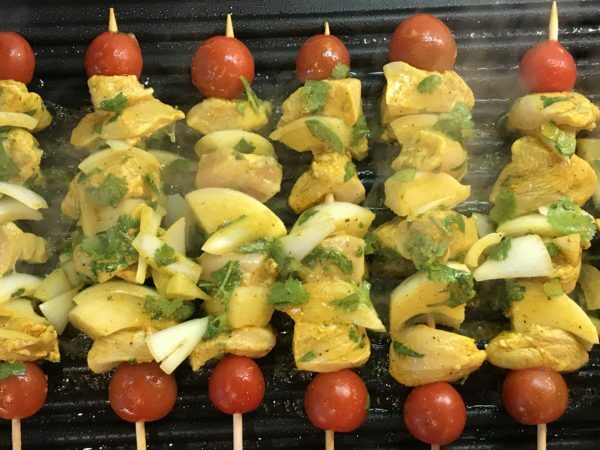 Using prepared wood skewers, thread cherry tomato, 5-6 pieces of chicken, and one cherry tomato on to each wood skewer until all ingredients are used. Heat grill to medium heat. Grill kabobs 12-15 minutes or until chicken is done, turning skewers every few minutes to cook evenly. Transfer Joojeh Kabobs to a plate and serve with basmati rice and salad. To keep the skewers from burning, soak the in water for up to an hour before using.